As the years have passed by very quickly I have remained very excited about the gospel music I have been singing since being an eight (8) year old boy. I have always said; “The older I get the closer I come to experiencing all that I have been singing about”. It is with this thought in mind that I share with you the ten (10) songs on this CD that the Lord led me to write over the past couple of years. The time that I have spent with Jesus while writing these songs has been so rewarding to me. Therefore, it is my hope and prayer that each song will speak to your heart in the same manner in which they have spoken to me and help you in your daily walk with Jesus. If you are not a Christian but somehow find yourself listening to any of these songs; it is my prayer that you ask Jesus to come into your heart and allow Him to help you with whatever your needs may be today. 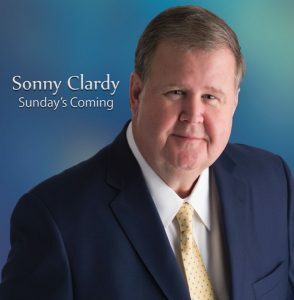 Copyright © 2019 Sonny Clardy. All rights reserved.